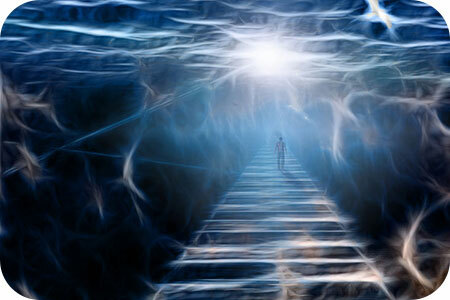 Going through a NDE, in every possible way, changes one’s perspective on life, as well as the afterlife. It literally and figuratively fosters a greater connection with the universal realms. It will also help those who return to be more aware of their angels and other spiritual guides in life. It has been said that death is more difficult for the survivors than the one who dies. Following NDE, it is possible that bonds with loved ones, even strained relationships, may be strengthened or re-formed. Forgiveness and empathy become easier. NDEs are not about pushing a ‘reset button,’ but it can be used as a fresh start to help heal old emotional scars. Those who have NDEs can use this as a jumping-off point for discussions, for example, what someone might do if they knew they only had a short time left to live. Those who return from NDE may choose to become mentors or teachers to others. Some have reported feeling closer to nature and taking up new spiritual practices upon returning,. Others change careers or give up a ‘rat race’ lifestyle in favor of something more meaningful. When we practice giving and acts of service, we become the best versions of ourselves and connect to that which we have only glimpsed. Perhaps the most important lesson those who go through NDE report is learning to live again. Life, in the way we think of it today, is simply existing rather than living. We are mostly going through the motions in jobs or relationships, not paying enough attention to the things that truly matter. We put aside our deepest and most important personal and spiritual needs in the pursuit of that which won’t even follow us when we die, namely the material. That’s why NDE is a second chance: to see what we have been overlooking, to glimpse the Divine and infinite world beyond this one, to know how much we are loved. You don’t have to experience NDE yourself, or even read an account of someone who has, to apply these lessons to your life. In becoming the person we were meant to be in this lifetime, it is fully possible to see The Light without ever leaving our physical bodies.